Thank you for your request. Please add a detail image of the decor. Thank you. Thank you for your request and patience. The present object is a copper tray how it is typical for Middle-East decorative arts with a diameter of 31 inches. This tray has a carved decor and an open-worked decor at the edge of the plate. Objects like these are made from Turkey to Pakistan. 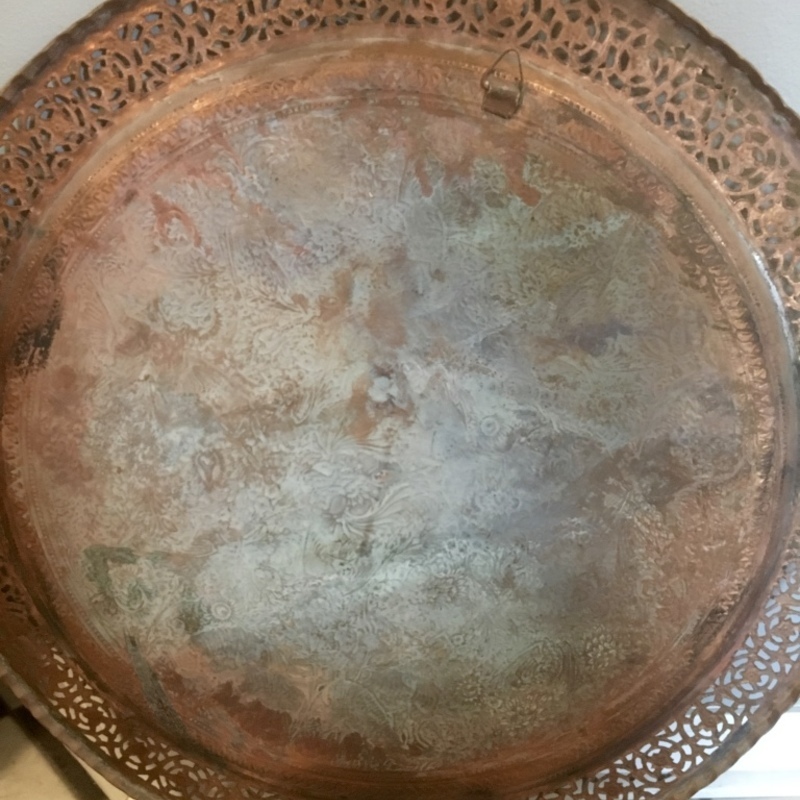 This piece could be highly possible made in Turkey because of the elaborate carvings and the fact that this plate is made out of copper and not out of brass. Sadly there is no detailed image of the carving so we can´t judge the quality. An estimate would be between 150 to 300 USD. Thank you for the images. Indeed the detail images show that the carvings are made in a good quality. I would like to higher the estimate to 200 to 400 USD. An insurance appraisal for this item is $800.